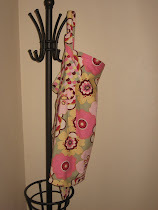 I spent some time this weekend in front of my sewing machine. Oh how good it felt! :) I *finally* finished Asa's 2nd birthday quilt. I would like to make our children a handmade gift each year for their birthday. This year, I planned a dog themed quilt for Asa. He had a puppy birthday party, and while the gift was not ready RIGHT on time (I was 9 months pregnant! ), it IS done now. 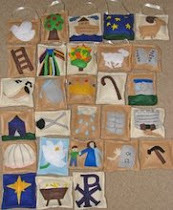 I purchased some dog machine embroidery applique files for each square of the quilt with nine squares total. 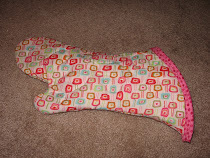 I received a free motion quilting foot from my husband for Mother's Day, and I decided to try it out on Asa's quilt. 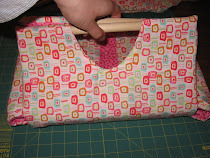 Lesson #1: free motion quilting is a LOT harder than it looks! I thought it was simply a matter of having the right sewing foot and lowering my feed dogs. WRONG. If you have any tips for me, especially for achieving even stitch lengths, I greatly appreciate it! 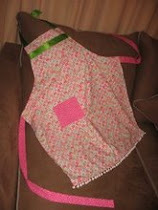 This evening I finished the free hand quilting and added a silky blanket binding. He likes "soft" things, so I thought the silky binding was a good choice for this particular project. What have I been dreaming of creating? Well, Pinterest has given me about a million plans. :) But here are a few I am especially considering in light of the changing seasons. I want/need to milk the matching bro/sis outfits while I can (i.e. before Asa's too old), so I love the last 2 pictures. Not SURE about the spider motif, but the rickrack web the spiders are hanging from is so cute and Asa loves "buggies" of all types. :) How will I ever choose?! And which to make first?! :) I'll keep you posted. I know I need some orange material, and then I can get started on a few ideas! I have been quite noticeably absent for the past many, many months. I see I mentioned our move from Florida to Ohio in the last few posts here, and that our sweet Asa finally started sleeping through the night at 14 months making me less of a zombie and more able to craft. What happened the very next month threw me right back into the land of the overtired. ;) We found out we were expecting again! Enter exhaustion, nausea, another move (same town, different house), and I fell off the crafting wagon. Or at the very least, blogging about it. I'll be you can tell just from these pictures below whether we welcomed a baby boy or baby girl to our family! Anna Reaghan had a happy belated arrival (following in her big bro's footsteps) on July 14th. She is such a sweet baby girl, blowing her brother's sleep habits completely out of the water, and a delight to us all. She IS sleeping amazingly well, but I still feel a bit of that newborn fog especially with chasing Asa around even if/when she is napping. I am planning some holiday outfits for them, so I thought I might try to pick back up with this blog. And Pinterest has given me all sorts of inspiration for crafting of all types! Another minor change I made is getting this blog set up to post from the google account I use the most. Originally I had it tied to a different email address I don't use as much, and it was a hassle to sign in and out of accounts in order to post. 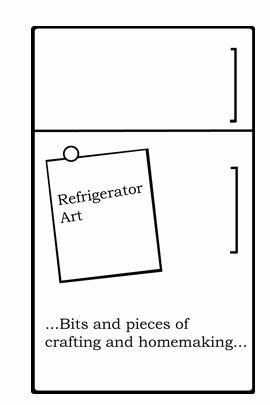 With that remedied, this is much more of a simple "point, click, type" process. Yea! 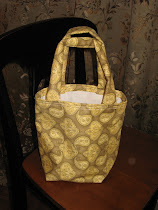 Awhile back, I saw a pattern for a craft tote in Ginia18's Etsy shop. I saved it to my favorites and would periodically go back and look at it. I think I was really trying to work up my nerve to try something that seemed like it might be a bit complicated. I always get nervous before trying a new pattern, especially if it's for a new KIND of item to create. Christmas provided the perfect opportunity for me to purchase and try the pattern. I thought my 2 year old niece would love an art tote filled with coloring books, stickers, markers, crayons, etc. I had the vision in mind, the tricky part was convincing myself I could bring it to fruition. The seller promptly emailed the pattern and made herself available to answer any questions I might have as I worked through it. I stared down the pattern for a few days before I found the courage to cut into my fabric and get started. Fun aside: Asa and I had the BEST time choosing the fabrics for the bag! As you might imagine, I don't have a lot of pinky, girly fabric in my stash, so we roamed the aisles of the fabric store collecting fairies, tea cups, and more! There was no need to contact the seller with questions--the instructions were great and I actually put the tote together in one night! Well, I spent one evening cutting the pieces I needed and prepping them with stabilizer. Another evening was spent actually constructing the bag. 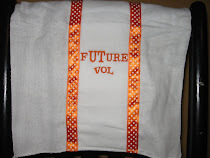 I cannot wait to make this tote again!